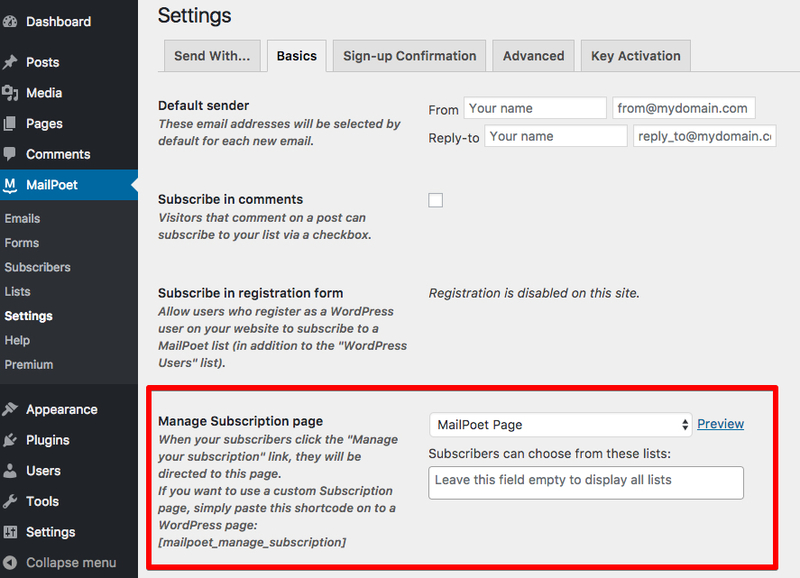 In this page, your subscribers are able to edit their subscription information (including custom fields, if you have imported subscribers with CSV files), except change the email address. For that, they will need to unsubscribe and sign up again. 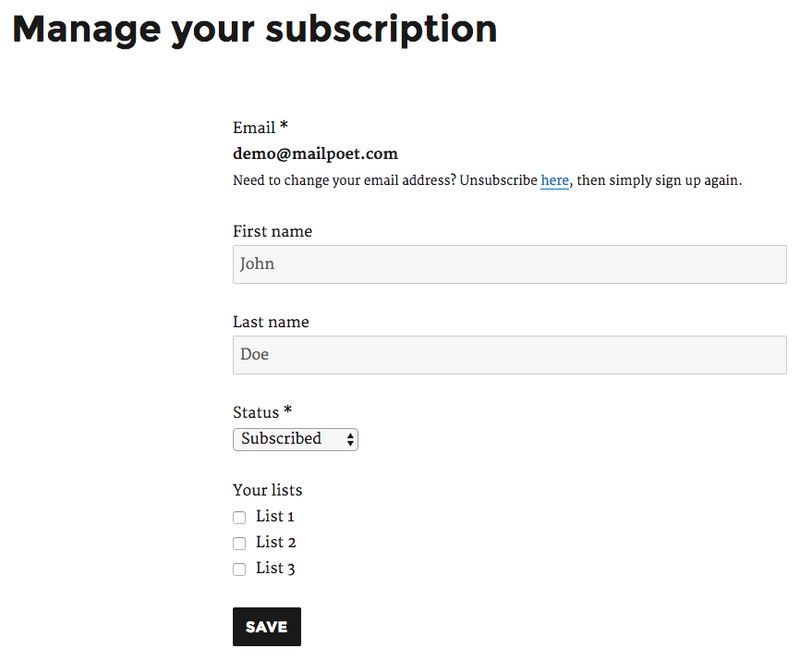 They can also edit their status (Subscribe / Unsubscribed), which is important if they accidentally got themselves unsubscribed by clicking on the Unsubscribe link in a Newsletter. And they can manage the Newsletter lists they are in. If you would like to create your own customized Manage Subscription page, please refer to this article. "You are already subscribed to this form"